I am a Licensed Clinical Social Worker, LCSW, with 5 years of clinical experience. I believe everything in life has its purpose. To guide you further on your journey of centered healing. I often say that therapy chose me. My life experiences have become my greatest teacher, motivator, and inspiration for healing. It is an honor to be a therapist, helping individuals and communities heal through life's challenges and hardships. As a Multi-Racial, Black Identified, Queer, Disabled Woman, I value and hold space for how cultural identities and community impact and foster healing. 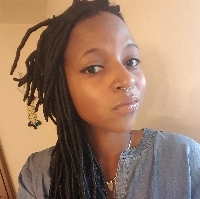 I hold experience and connection working with BIPOC, LGBTQ, Disabled Community, Communities impacted by incarceration, Foster Care Youth, HIV/AIDS Community, Al-Anon Community, and KINK Community. I provide individual therapy for adolescents and adults. I incorporate various modalities and treatment in my practice. including CBT, Mindfulness, Relational, and Trauma-Informed Care. My main goal is to join you in your healing process, in the most authentic way for you. There is no one way to heal, lets explore your healing journey together! Would you like to write a review for Louise Hall? We'd appreciate if you can spend a couple of minutes to write a short review for Louise Hall (LCSW). This review would be shared with Louise Hall. It may also be posted in our website or in Louise Hall's profile but it would be anonymous and your identity would be kept completely confidential.